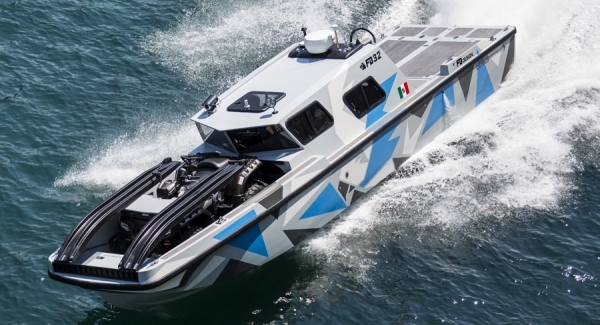 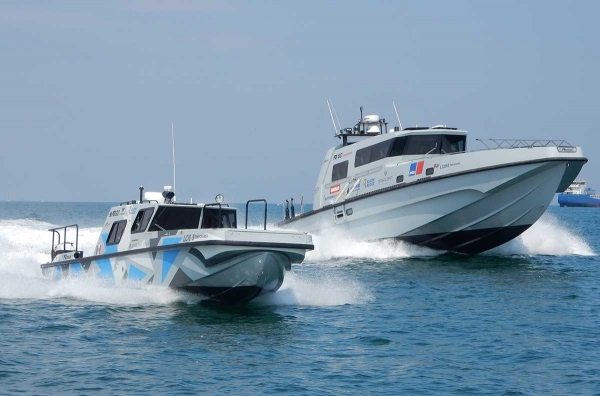 FB Design delivered last summer to the Italian Guardia di Finanza the first FB 52’ SF, a new model in our range of boats that is an evolution of the FB’43 SF, a boat already in use by the Guardia di Finanza. 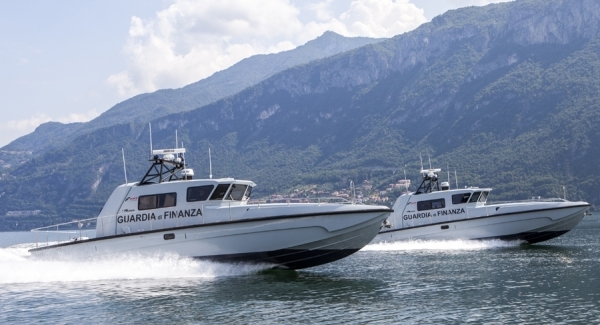 After one year we are now delivering to the Guardia di Finanza two more FB 52’ SF, one will go to Sicily and one to Calabria, and a third one will be delivered this autumn. 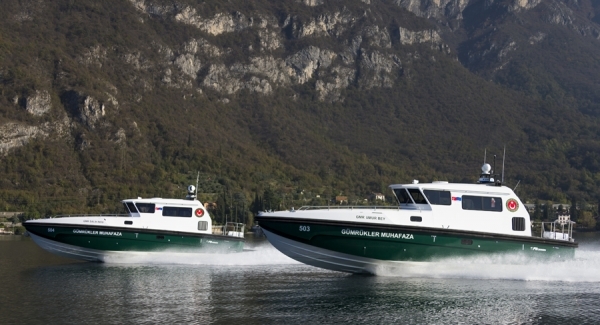 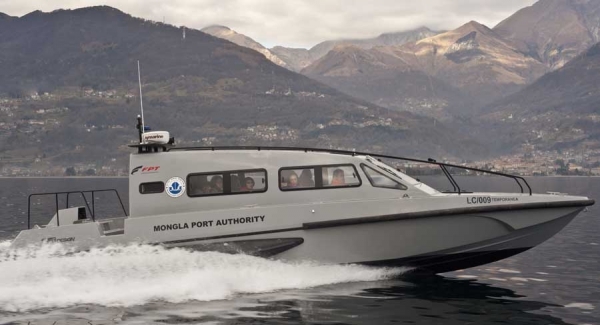 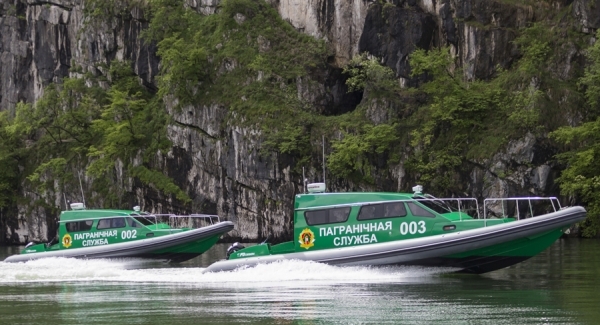 Each boat is powered with 2 FPT C13 engines with 825hp each, and they have a maximum speed of 50 knots. 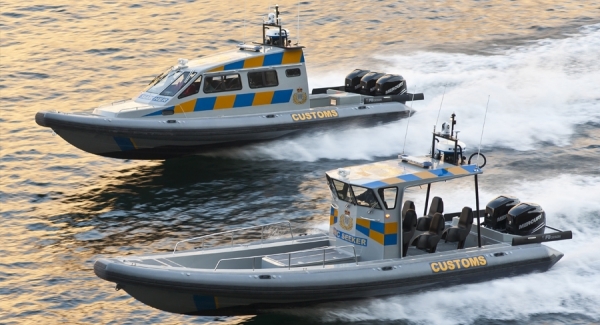 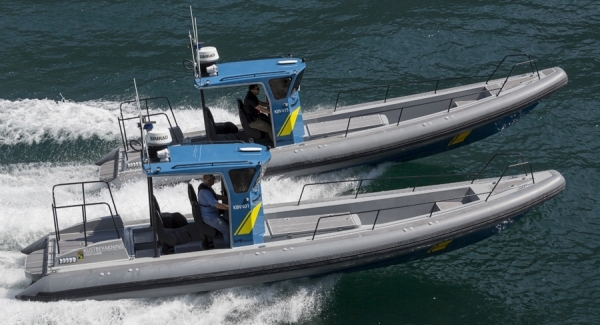 June 2014 FB Design just finished delivering four boats to the Swedish Coastguard: one RIB 39’ SF and three RIB 34’ SF. 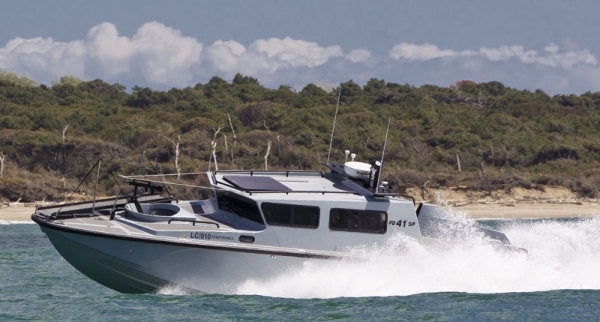 The RIB 39’ SF is powered with 2 outboard engines with 350 hp each and the maximum speed of the boat is over 60 knots. 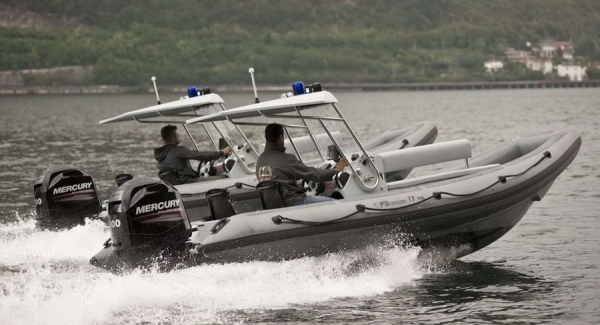 The three RIB 34’ SF are powered with 2 inboard engines with 370 hp each and the maximum speed of the boat is of 58 knots. 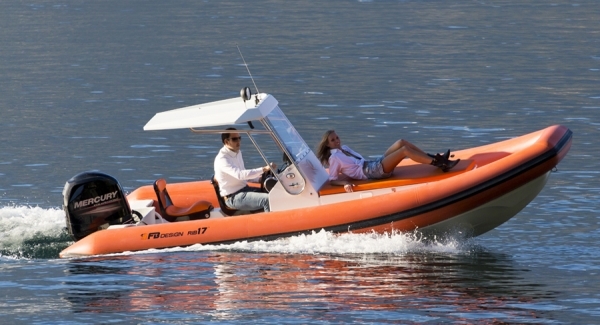 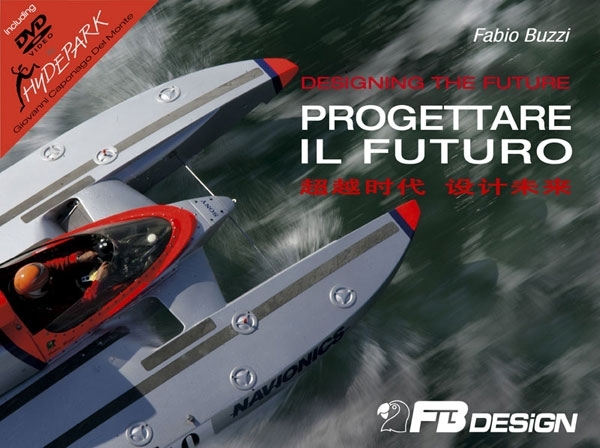 All the boats feature the new FB Design seats “Tecno Jockey”, that offer the possibility to adjust both the vertical and longitudinal position of the seat. 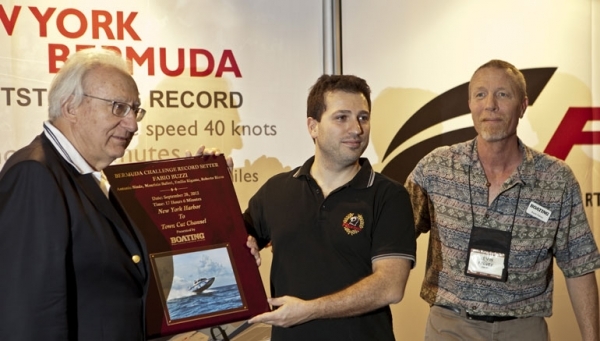 February 2013 Boating Editor-In-Chief, Kevin Falvey, presented to Fabio Buzzi and Roberto Rizzo the award for the New York-Bermuda Challenge, at the 2013 Miami International Boat Show. 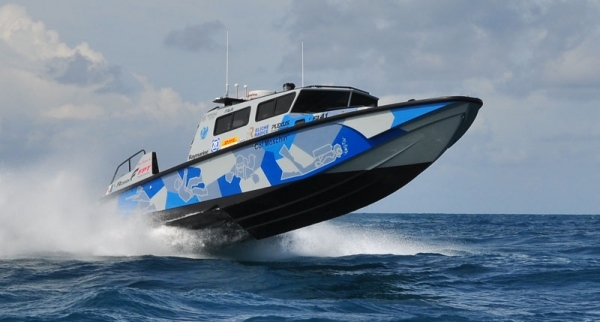 Read the full story and watch the official FPT video here: NEW LONG DISTANCE RECORD: NEW YORK-BERMUDA. 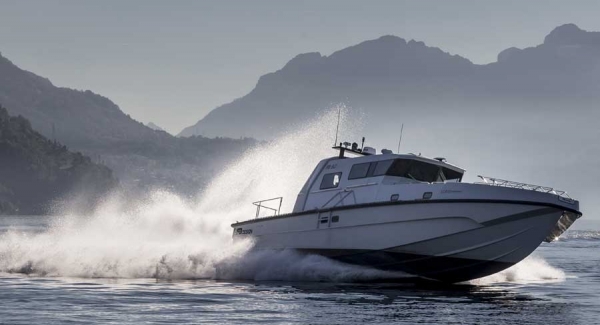 We thank Professional BoatBuilder and Paul Lazarus for giving our company so much visibility in this month issue of the magazine, writing such a long and datailed article! 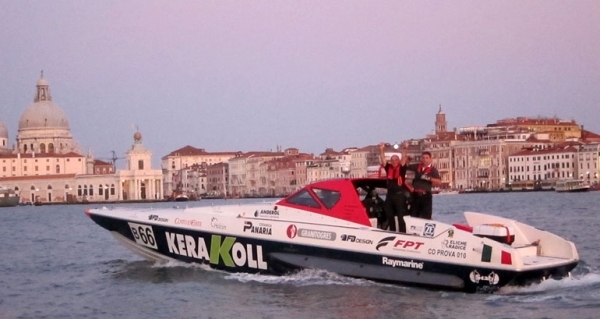 New Montecarlo - Venice Record: 22h 13' 17"